Any birthday party, no matter how lavish, is incomplete without a cake. While it is more common to see birthday cake ideas for women and children, there are birthday cake ideas for men as well. After all, men blow their birthday candles too. The first thing to consider in choosing a cake design is the age of the celebrant. The younger he is, the more designs are available for him. You can choose from his toys - baseball bat, train, truck, dinosaur and other animals, among others. As he gets older, you can choose designs from things that interest him. You can create a superhero, GI Joe, or other comic book or cartoon character theme. Surprisingly, the interest in cartoons does not seem to wane as a boy gets older. Some adolescent and young adult men develop interest for Japanese animation. You can create a design from his favorite character. Others who love online computer games would also like his cake with his favorite character or player as design. For the comic book lover, a photo of his favorite comic book can be used as design. For a sports car or race driving enthusiast, choose a sports car design for his birthday cake. You can also use his favorite sport as inspiration for the design. If he loves basketball, he would love a cake that looks like a basketball court, complete with basketball rings and his favorite player as toppers. For a diver or surfer, an underwater theme cake with sand, seashells and fish designs would be perfect for him. If he likes to play golf, a cake design consisting of a golf bag with clubs would be nice. The design can also be based on his profession. For example, if he is a judge, a cake that resembles a gavel can be used. If he is an artist or painter, a colorful palette and paint brushes would make an interesting design. 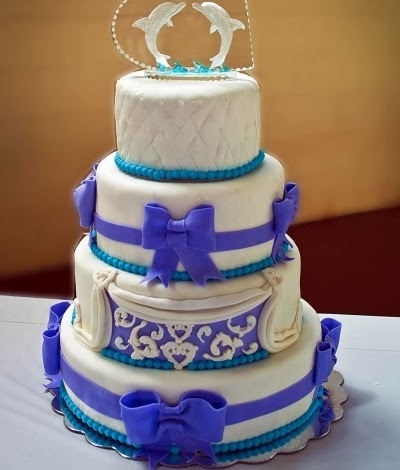 A violin or guitar-shaped cake can be made correspondingly for a violinist and guitarist celebrant. If he is a pilot, a cake in the shape of an airplane would be cute. For the health-conscious man, you can bake a low or non-fat birthday cake. A carrot cake is a delightful healthy option. Ingredients can be substituted to make decorations that are fat-free and sugar-free. This is good news especially if the celebrant or some guests are diabetic. On the other hand, there are others who prefer to add some alcohol in the cake to give it a "kick." There are boundless of birthday cake ideas for men that you can choose from. What is important is to know what the celebrant likes, his interests and style. With that in mind, you can choose the perfect birthday cake for him.